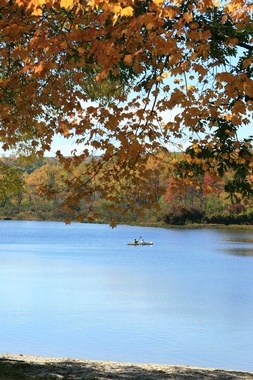 Covering 365 acres, Herrington Manor State Park is located four miles northwest of Oakland. 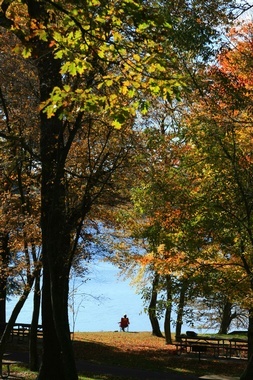 Situated in the middle of Garrett State Forest, the park features a 53-acre lake and many wooded trails. 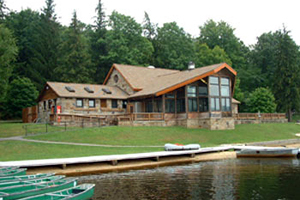 The park offers swimming, boating in rowboats, canoes and paddle boats, picnicking, hiking, tennis, volleyball and 20 furnished log cabins for rental use year round. 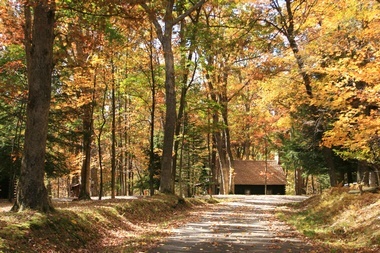 In the winter, the park offers cross-country ski trails along with ski rentals. 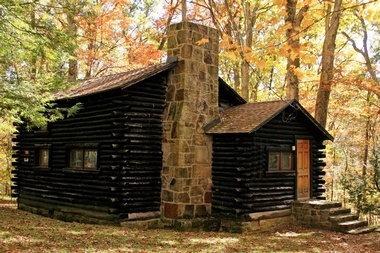 Interpretive programs are scheduled during the summer; and popular special events such as maple syrup demonstrations and apple butter making are held in the spring and fall of the year. Please refer to our website for current Day Use Service Charges.